Marijuana is the most used drug in the country, especially by young people. The 2012 National Survey on Drug Use and Health states, “Of the 7.3 million persons aged 12 or older classified with illicit drug dependence or abuse in 2012, 4.3 million persons had marijuana dependence or abuse.” That makes marijuana the drug with the largest number of people with dependence or abuse. It’s a myth that marijuana, because it doesn’t harm as much as other drugs, is safe or safe enough to legalize. A Northwestern University study found that marijuana users have abnormal brain structure and poor memory and chronic marijuana abuse may lead to brain changes resembling schizophrenia. The study also reported the younger the person starts using marijuana, the worse the effects become. I love Lady GaGa and I stand by whatever she has to say. I strongly agree that marijuana isn’t harmless. Everyone wants to believe that you can’t become addicted to it but they only think that because there’s no withdrawal. People don’t realize you can get mentally addicted. You feel like you can quit when you want but you think what’s the point of quitting if it’s not negatively impacting me? Little do those people know that you’re damaging your brain slowly. 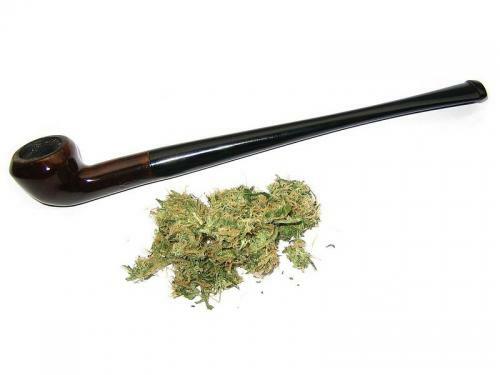 The way you smoke marijuana also has a big impact on your health. The most common way marijuana is smoked is through cigarillos and that’s tobacco! You can say that marijuana isn’t harmful as much as you want, but if you’re smoking it out of a swisher, papers, water bottles, etc, you’re in the wrong. I think these states that are legalizing marijuana are shortly going to be regretful. Legalization of Marijuana: Good or Bad?